This is the picture on my new business card! This was such an exciting wedding for me because I went to high school with the groom and played volleyball with the bride! Plus I LOVED the pink flowers! 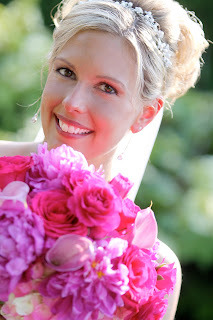 Check out more from this gorgeous wedding at our wedding site! Please call 419-517-8821 to set up a wedding consultation today! Wonderful Jen! I love it!